Promotions drive effective customer engagement, resulting in better conversions & revenue. Organise all your products into categories and make shopping easier for your customers. Offer the experience of using e-list as they shop. Shopping is a breeze for customers!. Order History along with tracking makes your business appear trustworthy and reliable. Beautiful Layout along with Ease of set-up. 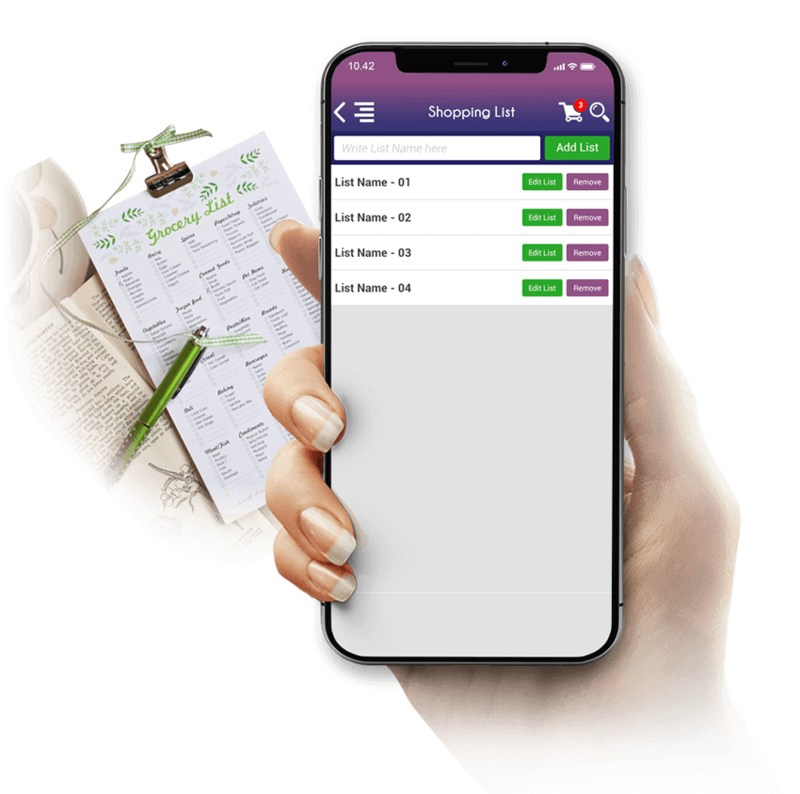 Predefined Inventory list that will make your life easy. 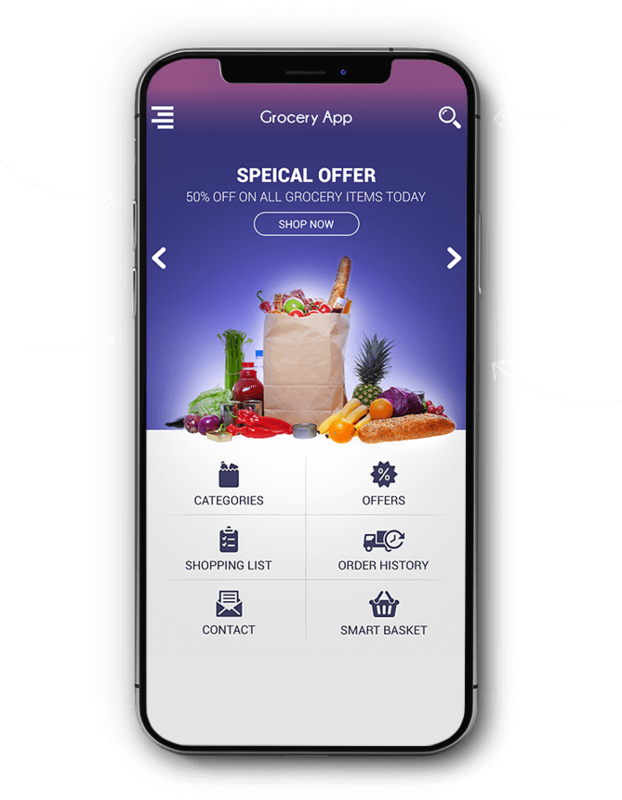 Select from 5000+ products and make your Grocery app shop live in minutes. Our team will assist you in mapping current products with the existing ones. You can also create new categories and upload products using our Do it Yourself App CMS. Your customers will order again & again. 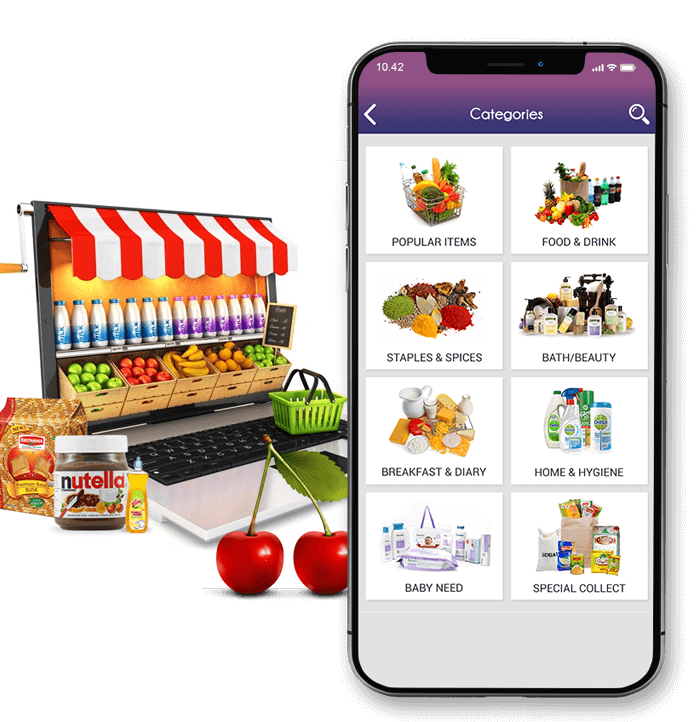 Select from the categories, make your item favorite along with push to shopping list option will change the way customers shop. They can keep a track of which orders have been shipped or delivered. Ensuring repeat orders & retention. In built Loyality Program will help you to track the most engaged customers and assist in promoting offers to enhance repeat orders. Customers can review the Loyalty points and they can redeem for offers. The Loyalty Program can be customized and store owner can turn this off or on as per the requirements. Smart shopping for smart customers. This is a unique concept where shopkeepers can create basket of products for the customers and offer them attractive price for the bundle.. 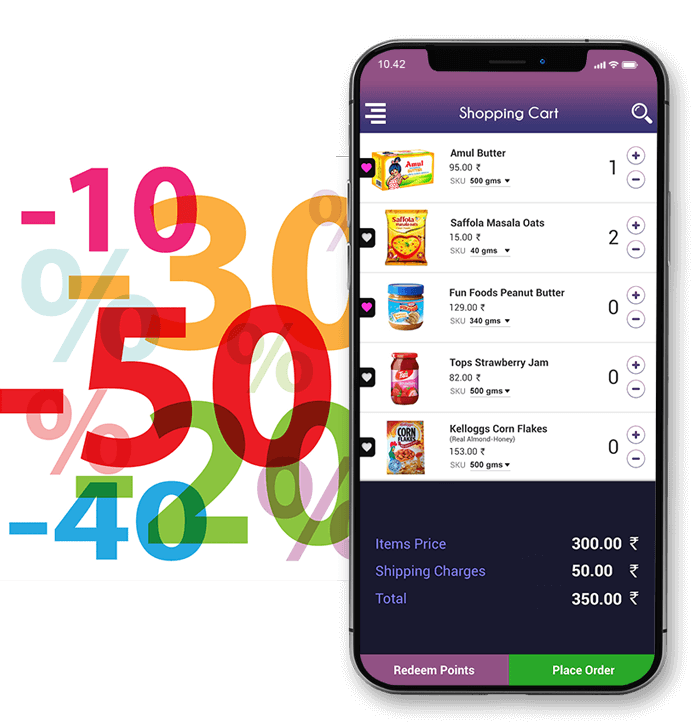 The customer can edit the basket and add more items into the existing one. Smart Basket helps in selecting daily need items with fraction of time and at economical price. Set your favorites for hassle free experience. 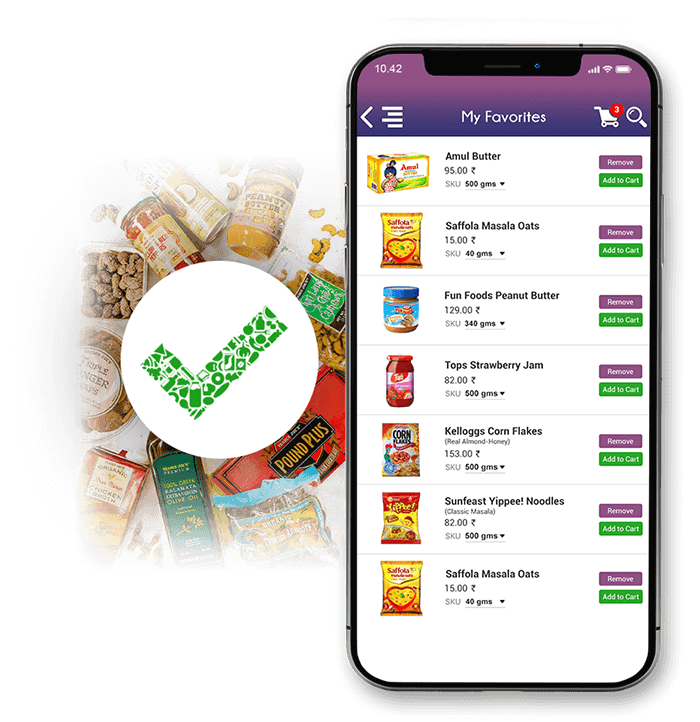 Customers can mark the products favorites and the system will remember this selection during their next visit to your m-grocery shop. This feature gives them flexibility to buy their items with minimum screen navigations. My Favorites is also a great way to organize the required items that customers' want to shop in future. No more sticky notes and scraps of paper. 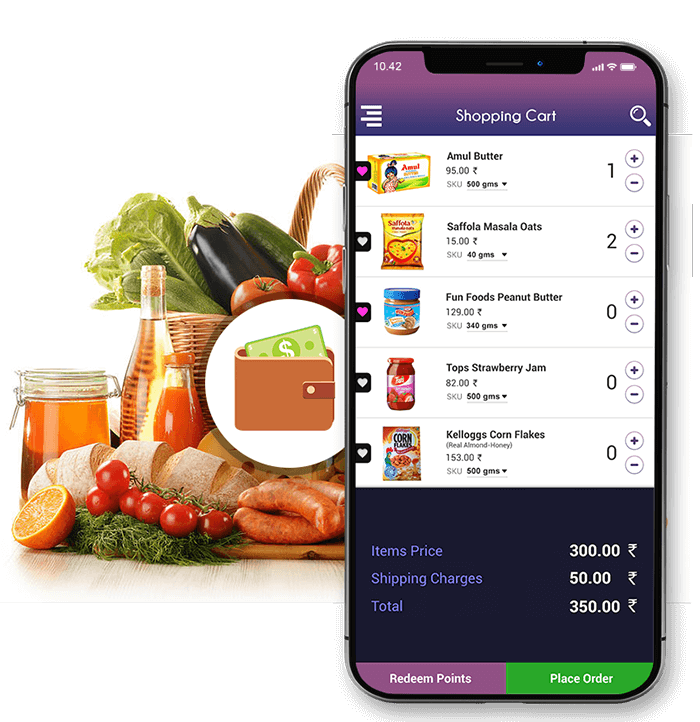 Your customers can Create their shopping list to make the visit easier.This app brings an easy to use and fast to handle e-shopping list. 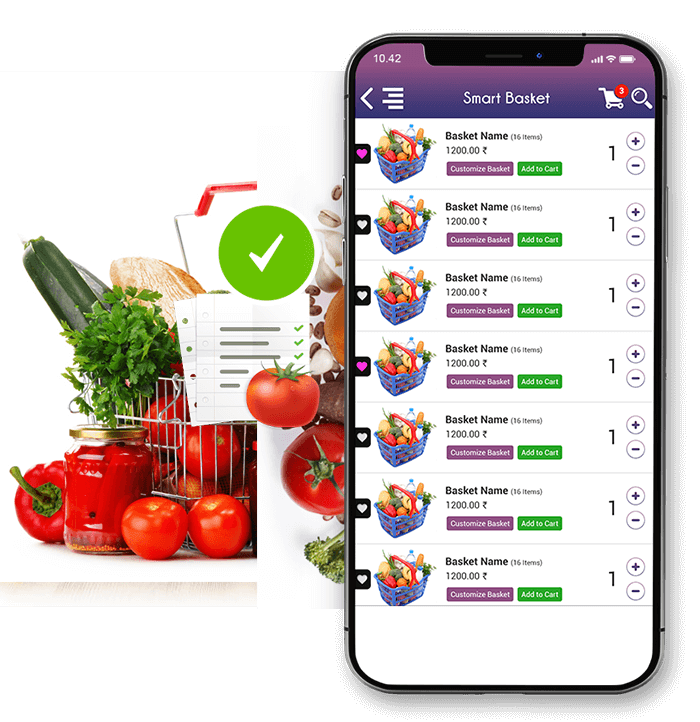 Sort your items and organize your shopping with My Shopping List. Strike out items from the list using only one hand and put them into the shopping cart.